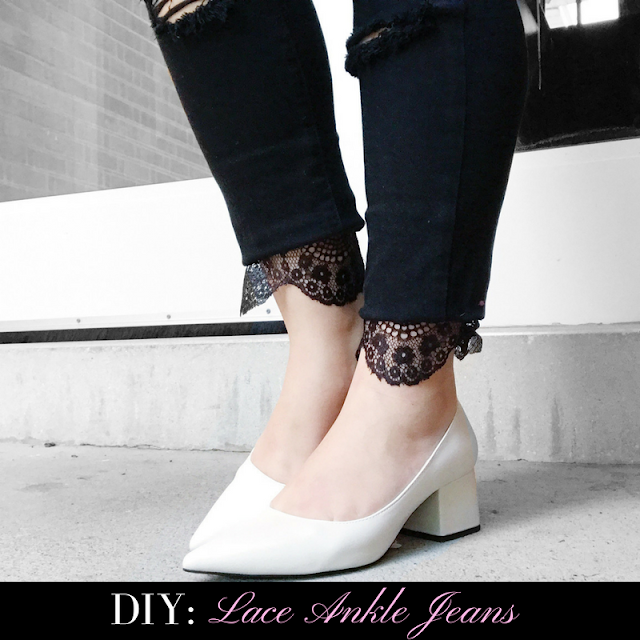 Step 1 - First try on your jeans and determine where you would like to place the lace. As you can see in the designer version, the jeans have been cut a few inches above the ankle in order to have the lace detail seen better. You can determine this with a tape measure and pinning where you want to cut it. I decided to cut my jeans about 3 1/2 inches from the cuff. Step 2 - Next, take your lace trimming (I decided to go with a very thin version but there's other types of lace trimmings out there that are thicker and more intricate. It's up to you!) and pin it to the cuff of your jeans in order to determine where to cut it. When you're ready, cut that piece and do the same for the other cuff. Step 3 - Now's the part where we sew the lace trimming onto your jeans. 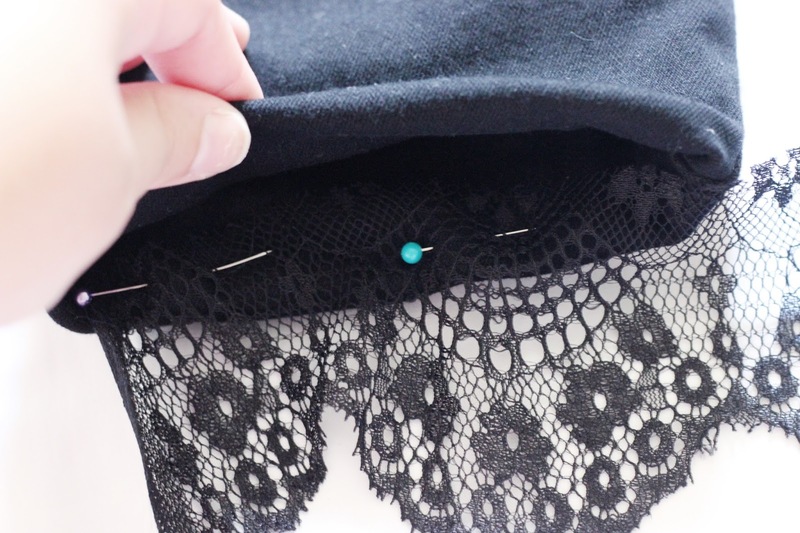 If you have a sewing machine and know how to use it then feel free to do that but if you're like me, then you can easily sew it by hand with some black thread and a needle. It's super easy but if it's your first time, there's tons of tutorials on Youtube! That's it! You're done. Pair it with a cute pair of white heels for a girly look like I did or even with some sneakers for a casual look. 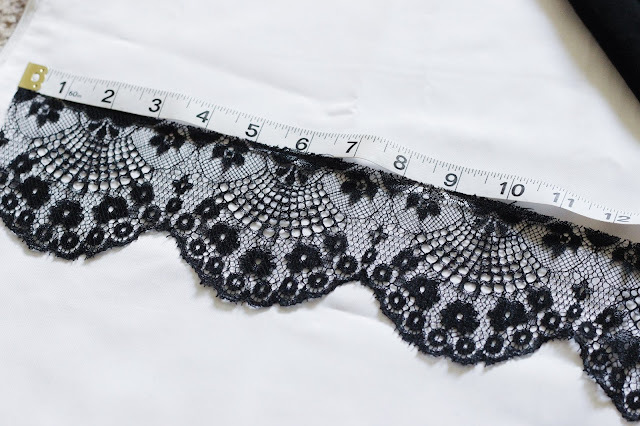 You can also try different trimmings in other colors or even sewing the extra pieces of lace to a sweater or t-shirt! The possibilities are endless. 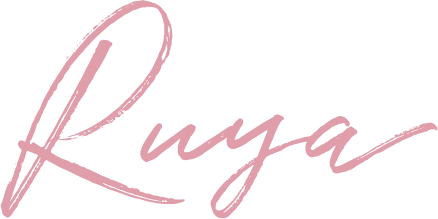 I hope you enjoyed my very first DIY post! Should I do more of these kinds of posts? Let me know below! This is such a cute idea! Hem details seem to be incredibly popular right now, but I think this is the first time I've seen the lace. So cute! Thanks Shannon! Glad you liked it.